The miracle of checking off depleted items as you go! 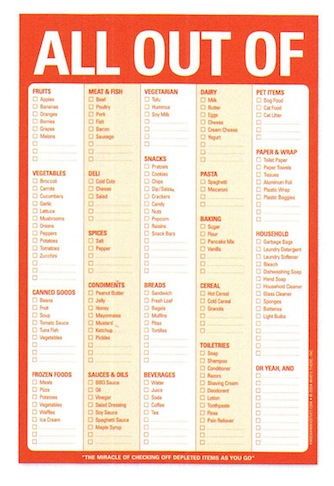 This nifty checklist helps you keeps tabs on what groceries you need and then some. Various categories include basic items, as well as space for making notes for other items. It even has an awesome fridge-adhering magnetic strip on the back! 6" x 9"